Which WorldMark Resort to choose? They are all so great and consistent in their quality and service. Last stay was Wanaka NZ South Island for a week ski trip: my first real attempt to ski at age 52. Lovely cosy apartment I shared with my daughter, her partner and my son. At the end of a cold day on the slopes at Cardrona we returned to a warm room, numbing (in the good sense) Scotch, a hot tub float to unkink all the sore muscles and a rejuvenating meal. Very comfortable and satisfying. Wanaka is a gorgeous village with everything you could want, including mulled wine. A bit like a smaller, less touristy, Queenstown. The receptiom had lots of handy guidance as to where to hire our ski gear and about the weather and slopes. Actually they are the first resort to call me the day before I left Australia, to assure me they were awaiting my arrival and were ready to receive us the next day. They welcomed us with the heating turned on prior to our arrival. We all agreed we would be going back. By the way, I did learn to ski! 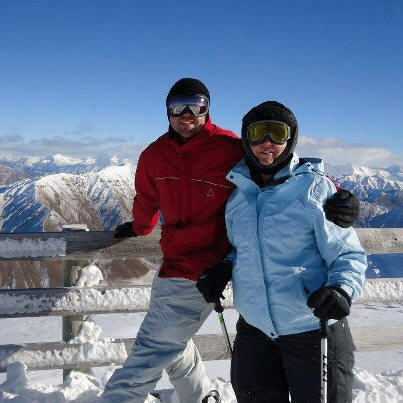 This entry was posted in (NZ) Wanaka and tagged family, holiday, new zealand, skiing, travel, vacation ownership, Wanaka, worldmark, Wyndham Resorts. Bookmark the permalink. Good on you Kim. What was the road up to Cardrona like…I’ve heard varying things. I’d like to give Wanaka a try but am a bit nervous about doing it on my own. Hi Karen, the road up to Cardrona is much like all the mountain roads, steep and windy. As long as you have a 4WD and take it slow it is not a problem. Make sure you get chains for your car and practice how to put them on your tires so you are prepared. However you can usually pay someone to do that for you when it is necessary. The alternative is going up there with a bus so you don’t have to worry about it yourself. Perhaps Kim has some more pointers she can share? Try Wanaka – it’s a beautiful area!